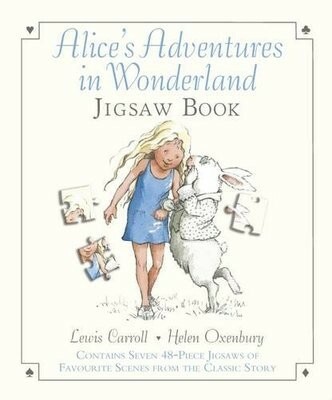 Piece together Lewis Carroll's classic story in this delightful jigsaw edition illustrated by Helen Oxenbury. Alice's Adventures in Wonderland, Lewis Carroll's classic story of logic and lunacy, has delighted young and old alike for 150 years. Gorgeously illustrated, this award-winning rendition is full of warmth and humour and is available for the first time in an interactive puzzle piece edition. This is Alice as a child of today - casually dressed, personable, spirited. In Helen Oxenbury's hands, the topsy-turvy world of Wonderland is a wondrous place indeed!